W. W. Norton & Company, 9780393254693, 272pp. Can we trust our senses to tell us the truth? 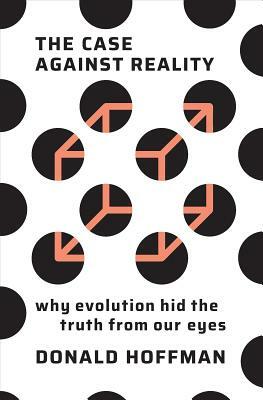 Challenging leading scientific theories that claim that our senses report back objective reality, cognitive scientist Donald Hoffman argues that while we should take our perceptions seriously, we should not take them literally. How can it be possible that the world we see is not objective reality? And how can our senses be useful if they are not communicating the truth? Hoffman grapples with these questions and more over the course of this eye-opening work. Ever since Homo sapiens has walked the earth, natural selection has favored perception that hides the truth and guides us toward useful action, shaping our senses to keep us alive and reproducing. We observe a speeding car and do not walk in front of it; we see mold growing on bread and do not eat it. These impressions, though, are not objective reality. Just like a file icon on a desktop screen is a useful symbol rather than a genuine representation of what a computer file looks like, the objects we see every day are merely icons, allowing us to navigate the world safely and with ease. The real-world implications for this discovery are huge. From examining why fashion designers create clothes that give the illusion of a more "attractive" body shape to studying how companies use color to elicit specific emotions in consumers, and even dismantling the very notion that spacetime is objective reality, The Case Against Reality dares us to question everything we thought we knew about the world we see.